Worried about global dental care? 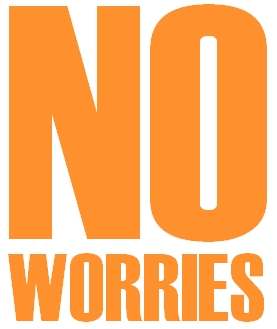 Dental Departures’ No Worries warranty gives you peace-of-mind when you visit a global dentist. Dental Departures will pay for your airfare & hotel if you need to return for to fix your dental care. Dental Departures partners with dental clinics who have policies in place to revise your dental care. If your dentist determines that follow-up dental care is required as a direct result of your dental care Dental Departures’ No Worries warranty will pay for airfare, hotel & ground transportation for your follow-up care. To purchase Dental Departures' No Worries Warranty please accept the Terms & Conditions and then click on the 'buy now' button below. No Worries warranty will only be valid if the hospital/clinic/doctor/dentist who performed the medical/dental treatment acknowledges via email that new treatment (revision) is required as a direct result of the original medical care and NOT a result of the patient negligence or ignoring pre/post operative instructions provided by the hospital/clinic/doctor/dentist i.e. smoking, drinking etc. The patient must stay the recommended number of days and have their final check up with the surgeon. The revision email from the hospital/clinic/doctor/dentist must be forwarded to Medical Departures to submit a valid No Worries warranty claim. Dental Departures will purchase the airfare, hotel & ground transportation. Dental Departures will NOT reimburse airfare, hotel & ground transportation purchased individually.